Statistics show that on an average, a person spends 2 hours/day on social networking sites. What if we say that during these two hours you can engage effectively with your consumers and potential TG? But the question prevails. How can you accomplish this? Or where to get the knowledge required? Here’s an answer to all your queries – Social Media Advertising Workshop organized by Social Samosa is all set to go live in Mumbai on 9th of September! Just 1-day commitment and you attain proficiency in Social Media Advertising. Hitesh Rajwani, Head – Social Samosa will be the trainer for this edition of the workshop. He holds expertise in the fields of Digital marketing, social media advertising, and brand management. The workshop aims at imparting in-depth knowledge about how advertising works in the digital domain. Here’s a quick description of the knowledge you will require to rule the digital age! Modules we offer : We bet you can’t have just one! Caution : With great power comes great responsibility! We are handing the power of social media advertising to you. Each platform requires separate strategies to win the war called advertising. This workshop will help you implement the approach effectively. Facebook Advertising : The workshop imparts valuable insights about banner ads, campaigns, lead generation, engagement, reach, boost post etc. It also focuses on strategies that will help you become an expert in Facebook Advertising. Instagram Advertising : The photo-based platform has turned into a major hub for advertising. The workshop highlights how to advertise on Instagram with campaigns, story, videos, photo adverts and more. Twitter Advertising : The workshop aims at explaining the difference between organic and inorganic trends. Advertising through ads, strategy to plan a successful campaign etc. are also a part workshop module. Snapchat Advertising : Our workshop aims at explaining Snapchat advertising methods including ads, sponsored lenses, local geofilters, Snapchat discover etc. LinkedIn Advertising : Advertising on a professional social media platform will help you interact with the right audience. This workshop highlights how to advertise on LinkedIn through Pulse articles, display ads, dynamic ads, sponsored in-mail, sponsored articles etc. YouTube Advertising – This video-based platform receives 35-40 minutes of user attention per day. Our workshop explains Advertising on YouTube through ads, video stories and more. We understand that each individual will have separate needs. You might be wondering, whether it’s worth your time and money. So, let’s get started with how the workshop will benefit you. Students : The time, energy and money you will invest in getting a degree can be saved. 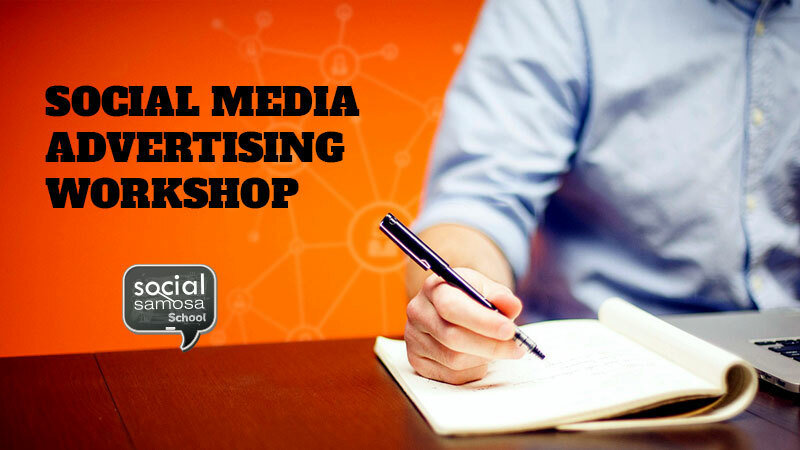 Our one-day workshop will sharpen you to dive deep in social media advertising. Pay less, consume less time but learn everything that is essential. Business Owners : Business owners always want to expand and get maximum outputs. How about a quid pro quo? Invest your one day with us and see the tables turning for you. Agency Professionals : Thinking about the hike you haven’t received yet? Take our one day workshop and become the emerging face of your company. The workshop timings suit well with your time crunch too. Brand Managers : How about your client praising you for an amazing advertising strategy? Rare sight though, but possible! Spend your one day with us and crack that awaited promotion.Convincing enough right? We took you through the fantastic beasts are and now giving you the address to find them! Go grab it! Let’s dive in together and unfold the mystery called Social Media Advertising.